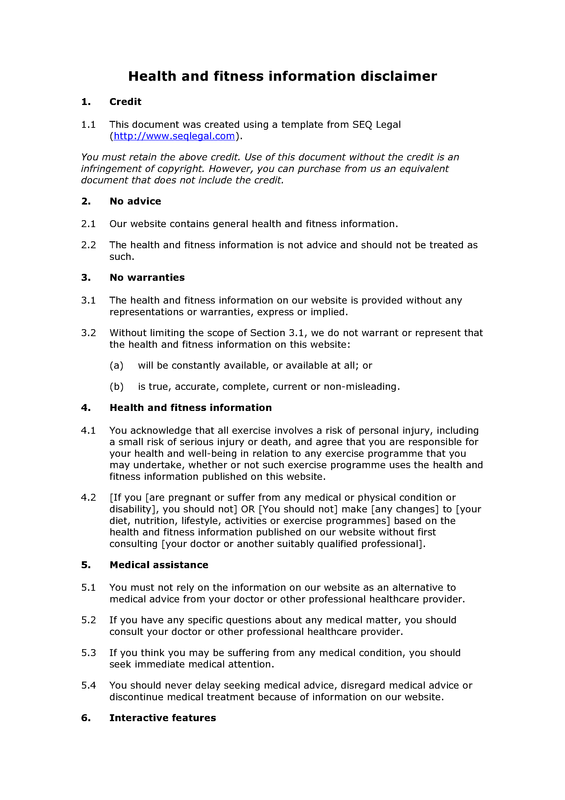 The publication of information relating to health and fitness presents special risks. Even if the underlying data is correct, the publication health and fitness information about such matters as dietary changes and exercise programmes can lead to illness or injury. If you publish such information, you should take reasonable steps to mitigate these risks. This disclaimer template is designed to help with one aspect of risk mitigation. A well-drafted disclaimer may reduce the risk of a claim against you, and may reduce the amount of an award against you. However, you should also consider other risk mitigation strategies (such as insurance and trading through a limited liability entity). Whilst a disclaimer may help with a legal claim in some circumstances, it will not help in all circumstances. Where practicable, you should take specialist legal advice on risk mitigation. 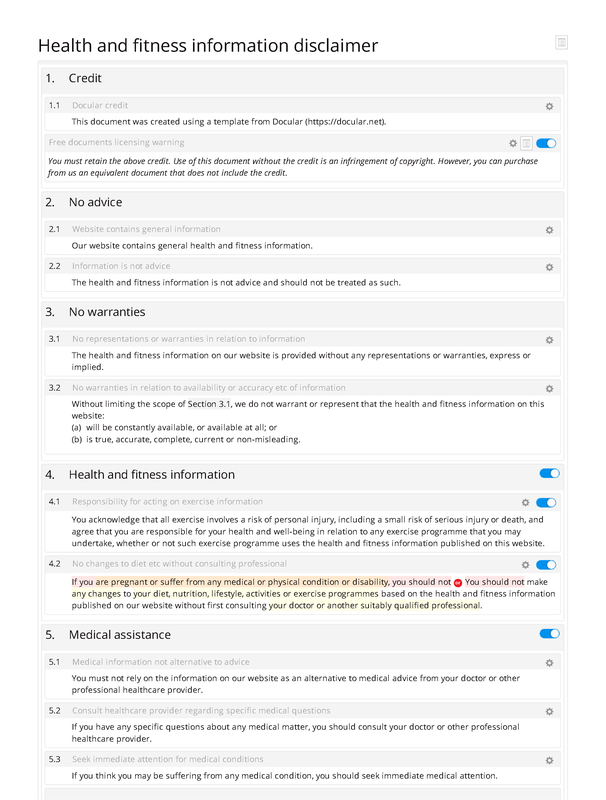 Health and fitness information: responsibility for acting on exercise information; no changes to diet etc without consulting professional. No liability: no liability for reliance upon information.